Women of childbearing age (typically ages 11 to 49) need an extra 400 to 800 micrograms (mcg) of folic acid every day. Folic acid is found in vitamins and foods like breakfast cereal or bread that have folic acid added. Everyone needs folic acid, but it’s especially important for women who are pregnant or who may become pregnant. 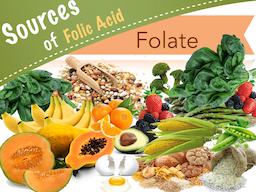 Folic acid is a vitamin that can prevent birth defects. If you are pregnant or breastfeeding, your doctor can help you figure out how much folic acid is right for you. You may need more than 400 mcg folic acid if you have a health condition or are taking certain medicines. Check the Nutrition Facts label on the side of the box to see how much folic acid the cereal has. Choose cereal that has 100% DV (Daily Value) of folic acid. Use this list to find cereals with folic acid. You can take a multivitamin or a small pill that has only folic acid. Vitamins and folic acid pills can be found at most pharmacies and grocery stores. Get tips for choosing a vitamin with folic acid. Check out this fact sheet on folic acid [PDF - 612 KB]. Tell a friend how important it is to get enough folic acid, especially if she might get pregnant some day. Try one of these cereals with 100% DV of folic acid per serving.